Latest online Clarks promo code: For expertly crafted, top quality footwear, shop online at Clarks, where you can enjoy even better savings on sale items thanks to this promotion! Seasonal Clarks deal: From boots to flats, heels and more, complete your look with a stylish pair of women’s shoes, now on offer in the End of Season sale at Clarks. Limited time Clarks sale: Discover the range of durable, stylish and comfortable men’s shoes now on offer in the Clarks End of Season Sale. With designs to suit your lifestyle, shop on site now. 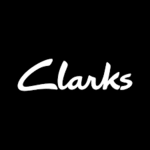 Clarks free shipping offer: Check out the boy’s shoes and boots range at Clarks. Online Clarks Deals: Check out our great range of girls’ shoes and boots today at Clarks. Clarks free shipping offer: Enjoy this Clarks promotion for free shipping on any order. Clarks free shipping offer: Visit Clarks to discover the boys’ shoes range with prices starting from just $39! 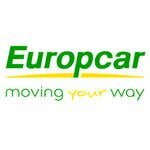 HotOzCoupons.com.au is a one stop destination for online coupons in Australia. Checkout Clarks promo codes and save huge. Stay tuned, new promotions are added daily.